spinning combustion chambers to make rockets more efficient? Discussion in 'SpaceX' started by returnero, Jul 11, 2018. 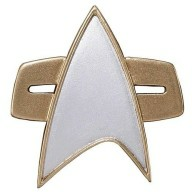 This would be absolutely no use in space, as you suggest. There’s nothing additional besides the exhaust gases to push against, so your goal would be to push “harder” against them. I don’t know that even with infinite free electricity you would propel the exhaust gases any faster doing this than a current optimal nozzle. It certainly wouldn’t be worth the cost of whatever electrical system you’re going to send up, rather than more fuel. While still in the atmosphere, it fits in the entire category of ideas that try to use some traditional form of propulsion to avoid the rocket equation for as long as possible. It seems on the crazier end of the spectrum of what I’ve seen. I'm always a fan of new and interesting ideas and definitely not a fan of a basic "pfft-it won't work" responses (though we don't see that kind of post too often on this subform). With that in mind, I think it is most important to consider the energy flow with respect to this concept, both from a physical perspective and from a mathematical perspective. Traditionally, rocket motors are designed to maximize the amount of energy within the propellant (that includes electric...) and their nozzles are designed to maximize the number of particles that exit straight out the back. Adding additional features to that physical energy flow will introduce inefficiencies the because particles are making additional 'bounces', and in doing so they're 'losing' more of their energy. The geometry complexity means there's also a higher probability that more of the particles will fly out the back at sub-optimal angles, which means the vehicle is not maximizing the energy exchange of those particles. So...the solution needs to overcome these inefficiencies. From a slightly different perspective, its all about pressure. A motor is designed to convert the high pressure in the combustion chamber to low pressure at the nozzle exit in the most efficient way possible, because that means the exhaust flow exchanged as much energy with the vehicle (in the form of thrust pushing the vehicle forward) as possible. (Its actually flow velocity you're optimizing, but, I digress...). So...this concept actually is at odds with the goal of the expanding nozzle, because it is based on increasing the pressure in the flow. That's not inherently a show stopper, but it makes the math really hard to close. Mathematically, any concept must not just explicitly add energy to the exhaust flow to be viable, but also add net force to the system. 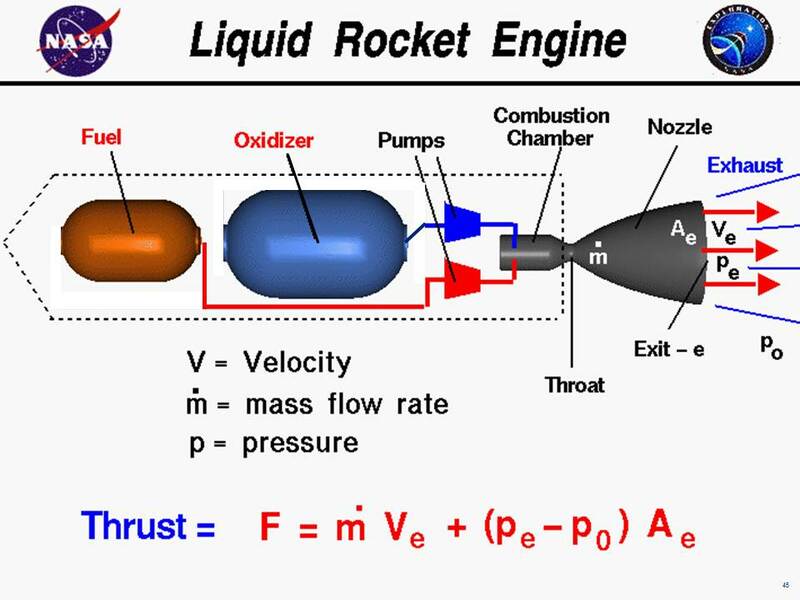 One of the reasons rocket fuel is rocket fuel (be it solid, liquid, or electric) is because of its energy density, and there's a reason that to-date we don't have any practical alternatives. 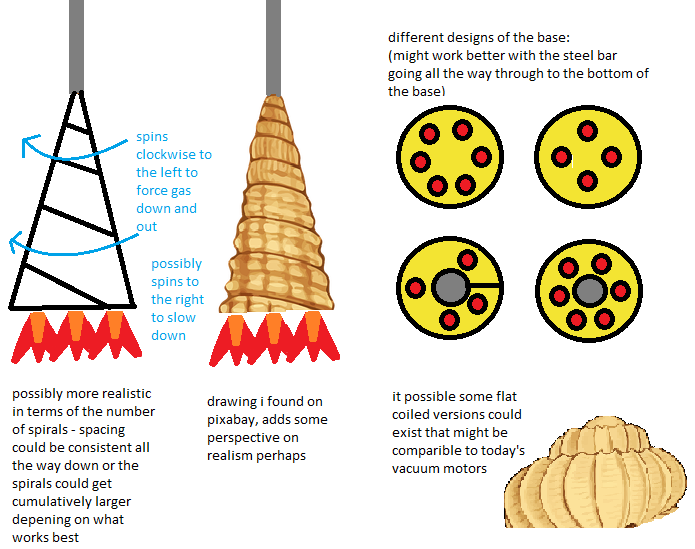 Basically, the spinning nozzle requires its own energy (that it will transfer to the exhaust flow) to come from somewhere, and because every other option for "somewhere" includes a less energy dense source than rocket fuel, that's going to be a hard trade to close. In other words, even with a spinning nozzle that actually creates a net-positive thrust there's still a thrust-to-mass hurdle. Sort of going sideways, there's a practical constraint of hotspots, which are always a major concern with chambers/throats/nozzles. 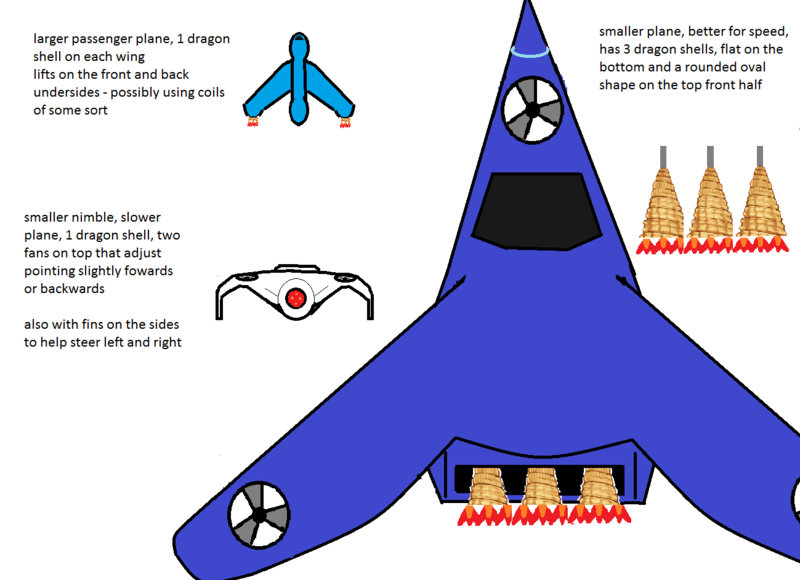 They would no doubt be amplified with non-symmetrical features and sharper than typical edges/corners, so this concept would also need some advancement on the materials side of things--advancement that would also raise the performance of 'traditional' nozzles, mind. There's an interesting controls problem with the concept as well; Newton's third adds another layer to the concept. Regardless if in atmosphere or space, any inertial forces from a spinning nozzle need to be accounted for in the opposite direction, which can potentially cost more energy. Two nozzles [spinning opposite directions] is an obvious starting point to investigate...one could also imagine using a fast spinning nozzle to create a slow [opposite] spin on the "main" part of the craft for stability/artificial gravity/thermal loading. Basically this seems like a proposal to increase the exhaust velocity with a form of propeller. So the question is if the "propeller's" added thrust is more than the power required to run it, in short, does it have an efficiency >100%. Computers can crunch flow mechanics and find the maximum efficiency. I believe that is some of what SpaceX has done to increase the power and efficiency of the Merlins over the years. Just looking at the beauty of the plume from last nights launch showed how well balanced those nine Merlins are.